I'm still liking the little traffic feed guest book at the bottom of the right column. I was going to write about something else, but when I checked in, I noticed something unusual, a visitor from Low and Burbank's Grant, New Hampshire. What an intriguing place name! I just had to look it up. It turns out that Low and Burbank's Grant is actually a township way up in Coos County. As I didn't know much about the place, I was surprised to see that Wikipedia cites the 2000 Census as providing a population zero for this 26.1 square mile piece of land. Clearly today the population was at least 1. 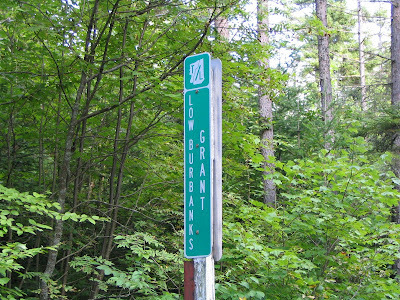 Looking at the map, it appears that part of Low and Burbank's Grant might lie along the Appalachian Trail, so maybe someone found the blog while resting at a cabin. If so, I'm jealous. I wish I were out hiking the trail. Frequently while I'm researching stuff on the Internet, I come across other fun things. 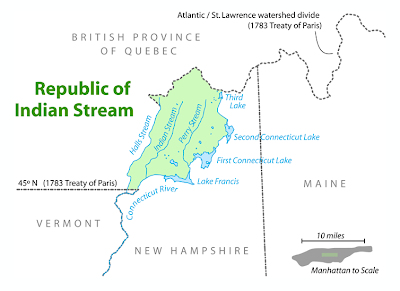 While checking out the history of Coos County, I also came across a reference to the Republic of Indian Stream, something of which I was completely unfamiliar. Apparently, the settlers in these parts had a short lived micro nation of their own between 1832 and 1835 which arose when the United States and Great Britain couldn't agree on the boundary and both sides decided to tax the area. I'm also noticing we're getting more and more international traffic to the blog. Welcome! Nice to have you visit. 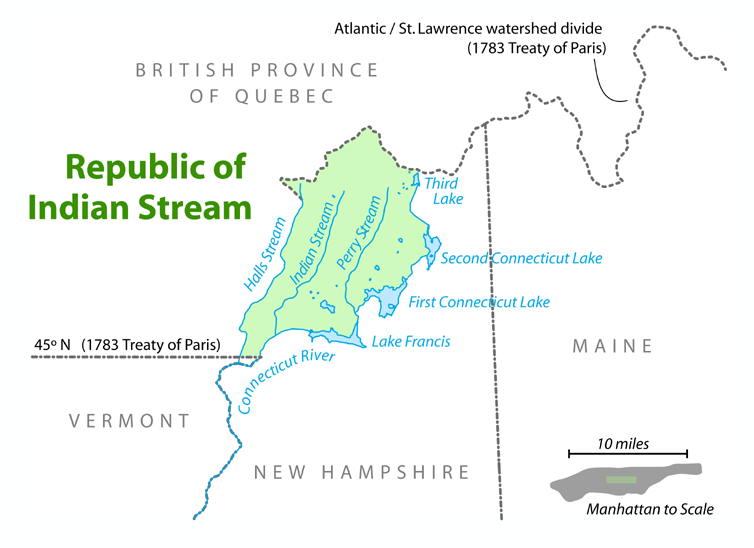 "...Apparently, the settlers in these parts had a short lived micro nation of their own between 1832 and 1835 which arose when the United States and Great Britain couldn't agree on the boundary and both sides decided to tax the area..."